Takes 25 Minutes , serves 8. 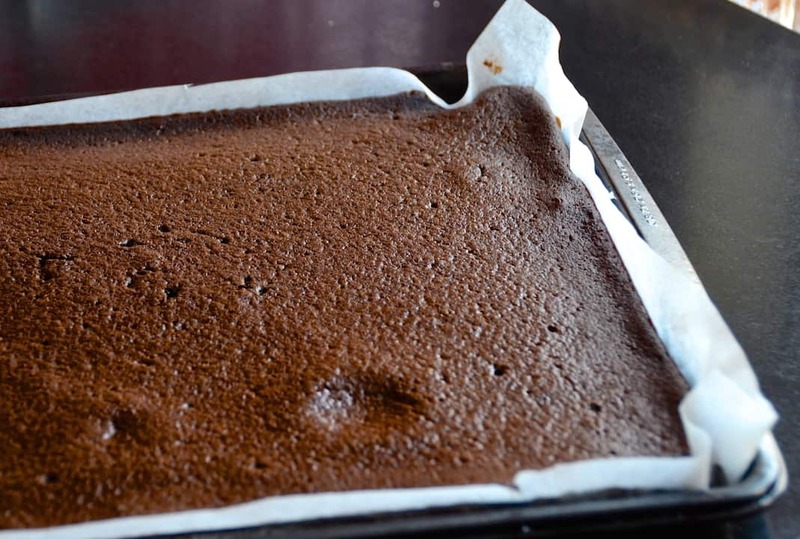 Prepare cake: Prepare recipe for chocolate sheet cake. 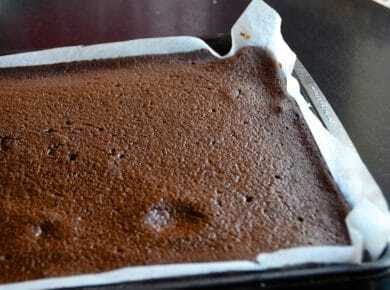 Allow to cool before turning the cake out onto a piece of parchment paper. 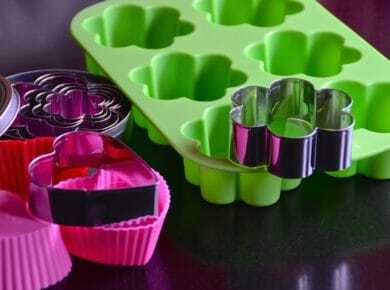 Use desired cookie cutter to cut 10 shapes from the cake and set aside. Reserve the remaining cake for another use. Prepare mousse: Fill a medium-sized saucepan a third of the way with water and bring to a boil, then immediately reduce to a simmer. Place a medium-sized bowl over the pan and add marshmallows and pomegranate-cherry juice, whisking until the marshmallows melt. Remove bowl from heat and whisk in kirsch and allow to cool. Fold in whipped cream. Prepare mousse shapes: Spoon cherry mousse into silicone molds. Brush a bit of kirsch onto each piece of cake using a pastry brush, then invert and place on top of the mousse mold. Once all of the mold shapes are covered, transfer them to the freezer for at least 12 hours. 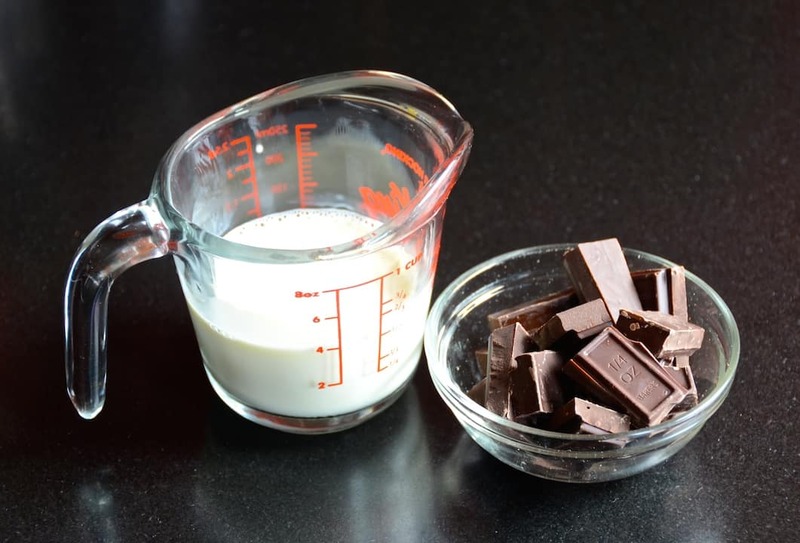 Prepare chocolate sauce: Place broken chocolate pieces into a small stainless steel bowl. Bring 35% cream to a boil. Pour cream over chocolate and allow it to sit for three minutes. Whisk until smooth. Set sauce aside. Presentation: Remove frozen mousse molds from freezer and carefully run the bottom under warm water, just for a moment. Gently press bottom of molds to release the mousse form and place upright on dessert plates. Allow dessert to come to room temperature, about an hour. 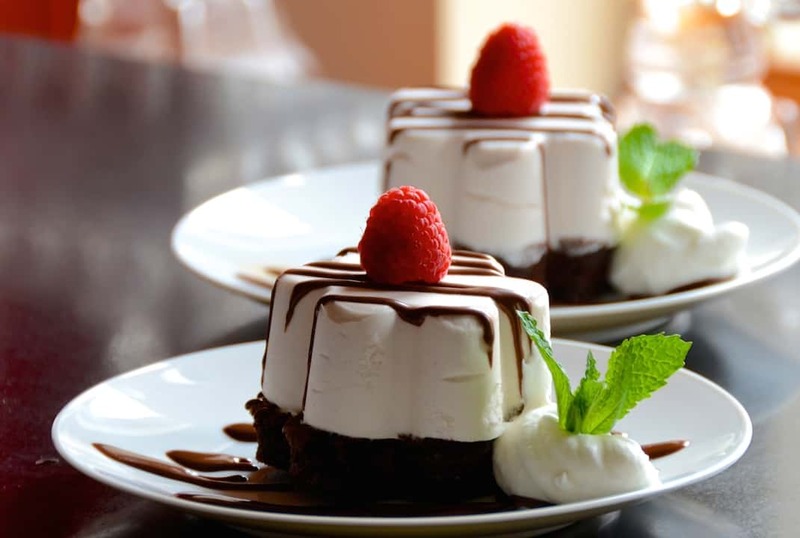 Drizzle chocolate sauce onto mousse, garnish with a dollop of whipped cream and fresh mint. Serve immediately. Perfect for special celebrations, this VALENTINE’S DESSERT RECIPE is all about taste and presentation – you’re going to LOVE it! This make-ahead dessert recipe never fails to illicit sighs of complete happiness. The feather-light cherry mousse is frozen in attractive confection molds, served with kirsch-soaked pieces of chocolate cake and topped with a decadent chocolate sauce – the taste and presentation make it both memorable and delicious. Although you may be tempted to PIN this recipe to your “Valentine’s Day Recipes” or “Romantic Desserts for Two” boards on Pinterest, don’t limit yourself – this recipe is so amazing, you can make it anytime you have a reason to celebrate. It’s just lovely. Head HERE for our recipe on how to prepare the chocolate cake used in this dessert. We suggest making it and the mousse the day before you intend to serve it. The cake can also be cut into slabs or desired shapes and stored in the freezer for up to a month. We loved the subtle cherry and rich chocolate flavours used in this recipe, tasting a bit like a frozen cherry cordial. Feel free to substitute the pomegranate-cherry juice and kirsch for coffee and Kahlua, or orange juice and Grand Marnier. Once you start experimenting, you’ll be amazed at all the possibilities. 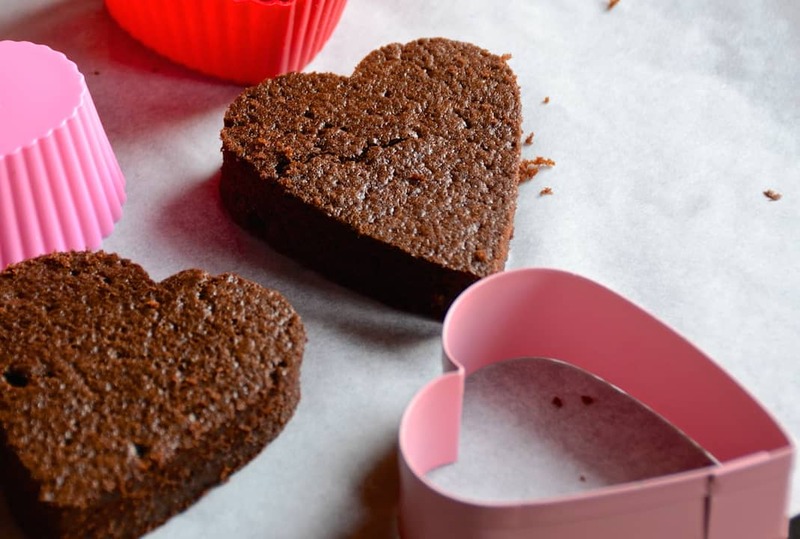 You can stick with the standard heart-shaped dessert, but there is a wide assortment of silicone molds that you can use to prepare this recipe. 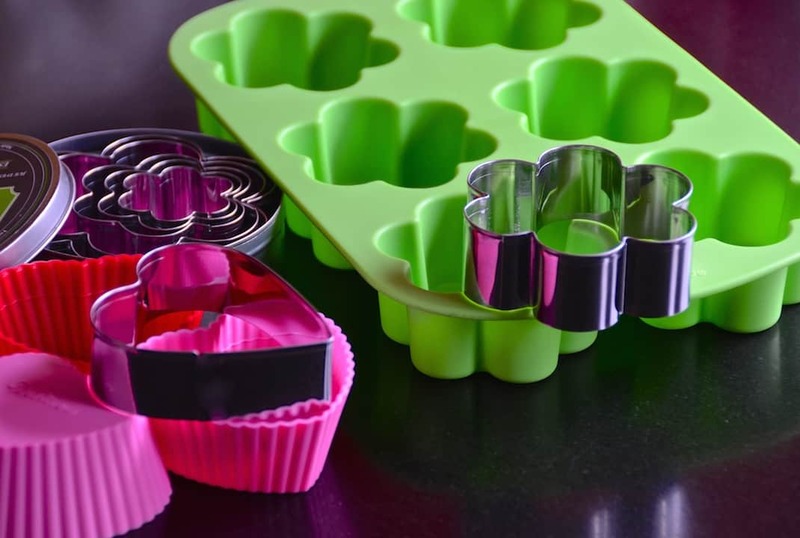 Head to your favourite kitchen or baking supply store, select your mold for the mousse and choose a complementing cookie cutter for the cake. We also love the SILICONE MOLDS listed below in the AMAZON section! You can click those links to purchase. We suggest this dessert be served at room temperature. 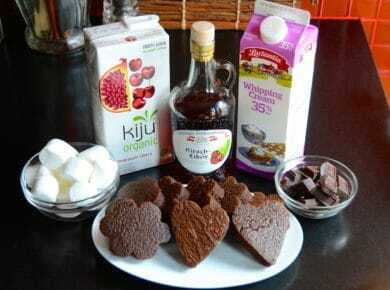 Prepare the chocolate sauce and remove the desserts from their molds about an hour before serving. 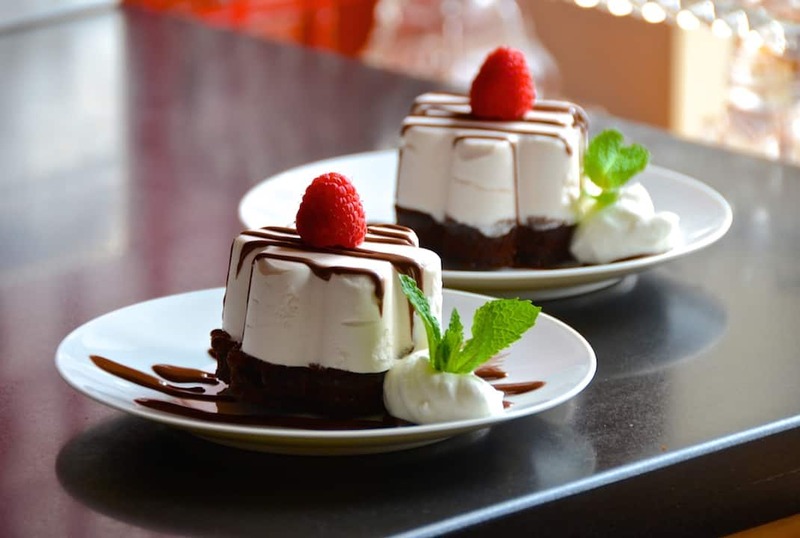 The mousse and cake will be soft and light-tasting, making for a sumptuous treat. When you go to enjoy this sweet confection we think you’ll be in for a treat. 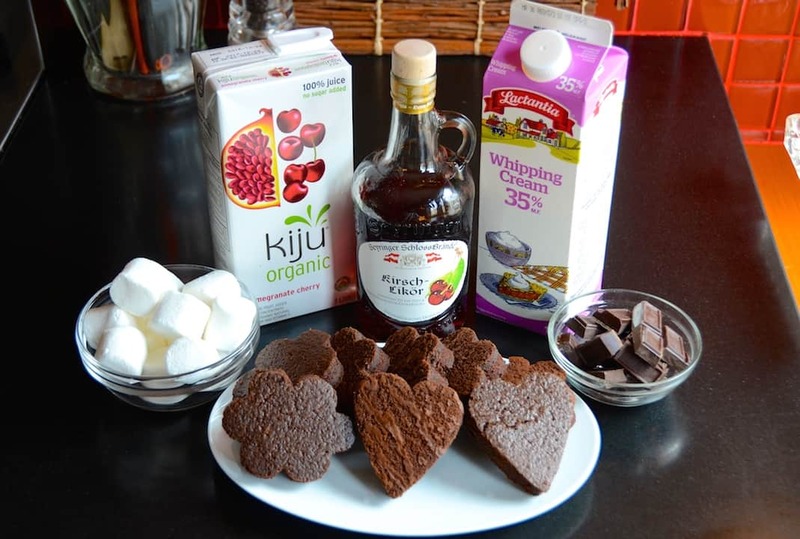 In a way, this VALENTINE’S DESSERT RECIPE tastes a bit like a cherry chocolate bar. Carol makes it without alcohol to serve to her kids, and they think it tastes like chocolate-covered cherries. Now that’s the kind of feedback we LOVE getting! Looking for a complete romantic dinner idea. 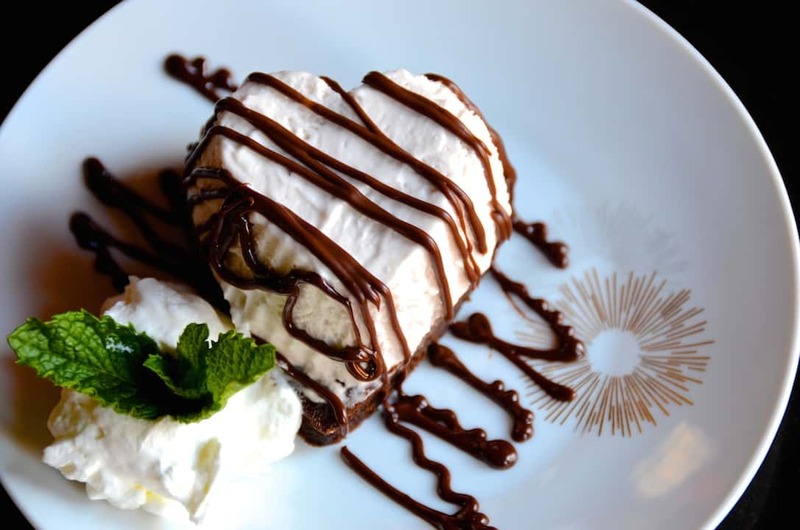 Start the evening with FRENCH ONION SOUP, serve our dreamy LAMB STEW as the main and then finish with this dessert. Feel free to open a bottle of bubbly too! 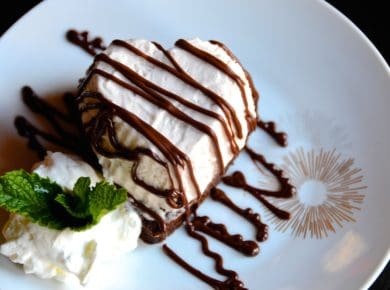 Expressing your love for someone just got a lot easier – make this VALENTINE’S DESSERT RECIPE and they’ll love you forever! Listening to great music is an important part of every Weekend at the Cottage! This is a wonderful jazz album perfect for a relaxed evening of entertaining, even a romantic one! Head to iTunes to download PARIS – Jazz Night to your collection.